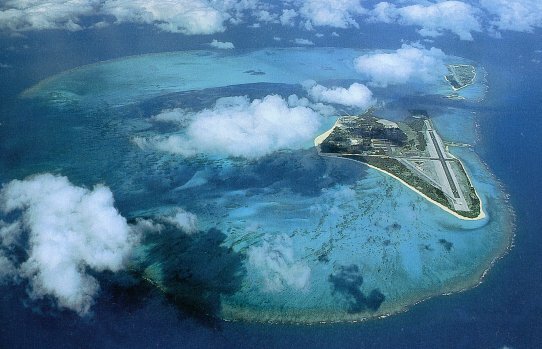 A place you will read about: Midway; an island in the Pacific Ocean. That photograph may be pasted over the dot of an "i." Kings and queens have died because of secret writing. Throughout history, battles have been lost and won, and governments have fallen because of "secret" messages that were not so secret. Secret writing has been around for a long time. It can be as easy to read as a sentence written backward. Or it can be so difficult, that no enemy can ever figure it out. Once, two English noblemen plotted to drive a king from his throne. They sailed their ships to a seaport from which they intended to set out to capture the king, But they found the king's soldiers waiting, and the noblemen were seized and put to death. How did the king learn of the plot? The noblemen had written some letters in secret writing. These fell into the hands of the king's agents, who figured out the messages. The king acted quickly, and the two plotters lost their heads. Secret writing still plays an important part in world events. The most important battles in a war are often the battles of wits between two teams of experts, each trying to keep the other from understanding important messages. In recent times, all governments, many business firms, some people who lead lives of crime, and, of course, spies have used secret messages. Many ways are used to get jealously guarded secrets past curious eyes. If someone has no other choice, one of the simple methods may be used, such as writing the message on paper in milk or fruit juice, letting it dry, then writing an ordinary letter over it. The receiver holds the letter near heat, which shows up the secret message. Today, spies may make a photograph of a page of material, then make the photograph as small as the period at the end of a sentence. Then they can substitute it for a period in an ordinary letter. To slip secret messages past enemy eyes, spies hide them in shoes, hollow canes, lipsticks, pencils, and even in false teeth! Radio plays an important part in sending secret messages, which are different from the way things sound. A radio program may carry a message such as, "Happy birthday, Marie, from John," or "This song is for the gang at Johnson's." During a war, a government may not allow such messages to be put on the air. Why? Because they could tell when a ship is sailing or where troops are going. The easiest way to send a message probably is to write it backward. Let us say, "Alice will be home Wednesday." Backward it will read, YADSENDEW EMOH EB LLIW ECILA. No government would use such an easy method. midnight." The secret list can make a thick book, and on land such books are kept in a safe place. On ships, the naval code books are bound in heavy metal so that if the ship sinks. the code books will not float to the surface. Code books take up a lot of space, and if they are stolen, the whole system must be changed. So another form of secret writing is often used. 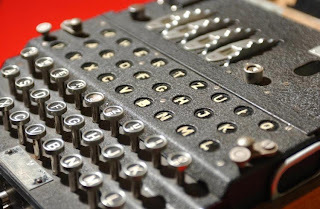 It is called cipher, and there are two main kinds. In one, a letter or number is substituted for another, perhaps the fourth or fifth letter before it in the alphabet. So the word "attack" might look like this: FYYFHP. Can you figure it out, using the fifth letter of the alphabet before each letter in the message? The other kind of cipher mixes up the letters in a message, so that "attack" might look like this: TKAA Te. Try this message: "Meet friends at the club." It might look like this: ETEM SREFDIN TA HET BLUE. You can even mix up all the letters. Or, to make it harder, the way many writers of secret messages do, put the letters in groups of five: ETEMS REFDI NTAHE TBLUE. 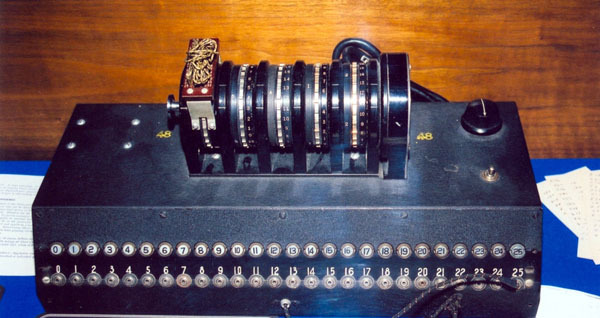 That is the general idea, but governments use far more difficult ciphers. use and most are top secret. What they usually do is to put a message into code and send it out. The receiver has a machine that turns the code message back into plain language. Breaking a code or cipher takes patience and the ability to concentrate. Some people seem to have a special talent for this kind of work. Sometimes a message can be solved quickly. More often, long hours of work are required before a clue to the message is uncovered. The person who sends the message must also be clever. The sender cannot make mistakes and must never, never send the same message in two different codes. There is always a chance that the enemy has already broken one of them. 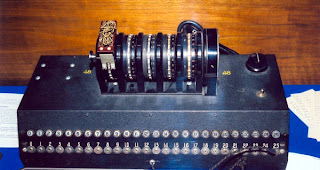 Breaking codes was very useful during World War II. Once, the Japanese planned to attack the important Pacific island of Midway. To fool the Americans, they sent their ships far to the north and to the south. They did not know that the Americans had broken their most important naval code and could read the messages sent out by radio. When the Japanese came near Midway, they found the American fleet waiting. There was a great naval battle, and the Japanese lost. Thus, a broken code turned the tide of the war. a. for a few years. b. for a very long time. c. for about twenty years. d. only in recent times. a. did not want the king to rule. b. wanted to drive the king to a ship. d. found the king's soldiers. c. hidden in false teeth. a. in two broken codes. b. with two different spies. c. in two different codes. a. for which a code book is always used. b. for which a code book is not needed. c. in which every letter is backward. d. in which numbers are always used. a. the names of forty business firms. b. the name of a street. c. the names of two spies. d. the name of a foreign ship. a. two people would receive the same message. c. it would take twice as long to break each code. .
d. one code could be useful in breaking the other. a. 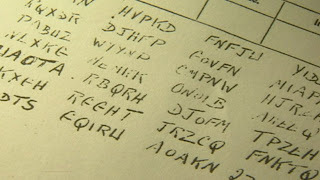 "Secret Codes and Writing." b. "The Missing Code Book." c. "How Governments Use Spies." a. the importance of secret messages. c. how governments use secret writing.